OLATHE, Kansas—(PRWeb)—Deli Halal, a Kansas-based producer of halal-certified meat and cheese products, is proud to introduce its new line of halal-certified sliced deli meats to mainstream supermarket chains such as Giant Food Stores and Stop & Shop Supermarkets throughout New England and much of the East Coast this month. Halal is a high standard of food processing that follows strictly monitored practices that adhere to Islamic religious principles and emphasize the humane treatment of animals. Halal certification regulates animal welfare, including what animals are fed and how they are harvested. It also regulates preparation processes including which ingredients are used and all product-handling procedures, adding an additional layer of accountability to U.S. food industry standards. Check out Freeslotscentral free spins types “American Muslim consumers are spending more than $124 billion a year, making up an ever-increasing market share. As a result, retailers in the U.S. are now recognizing halal consumers in their stores and are beginning to answer the call for more halal-certified products on their shelves,” said Chris Barnett, co-founder of Deli Halal. In a survey conducted among American Muslims by Dinar Standard in 2015, 86% of respondents said they wanted halal food products to be available at their local grocery store. In addition, the mainstream consumer has become more educated about halal foods, their beneficial attributes, and how those attributes align with their current product preferences. “Deli Halal’s products provide quality and convenience to the American Muslim consumer who is pursuing strict dietary guidelines and are on trend with mainstream consumer demand for more transparent and sustainable food products,” Barnett said. Halal seeks to promote wholesomeness by refining the processes and ingredients used in the production of halal-certified food. “One of the unique influences that the halal standard has had on our process is how it has influenced our solutions to shelf life and food safety through the utilization of High Pressure Pasteurization (HPP), which preserves food through a physical process, thus eliminating the need for excessive chemical preservatives,” Barnett said. 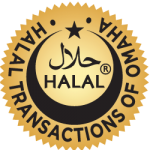 Deli Halal has partnered with Halal Transactions of Omaha (HTO), which will direct and oversee its halal program. Deli Halal works closely with Dr. Ahmad Al-Absy, the President of HTO, and Jalot Al-Absy, HTO’s Director and Quality Manager, to make sure the products and processes remain in compliance. “We are assisting Deli Halal in delivering a purely wholesome and quality halal product to grocery stores nationwide,” said Dr. Al-Absy. “Together, we are very excited to be breaching fresh territory for U.S.-produced halal products in the mainstream market.” For more information or to find a retailer that carries Deli Halal products, please visit the Deli Halal official website.